The decision taken by the Board of Directors of the Accor group to proceed with the plan to split the group into two separate listed companies is the latest of a series of decisions being driven by financial investors which may change one of the largest employers in the hospitality sector into an empty shell. 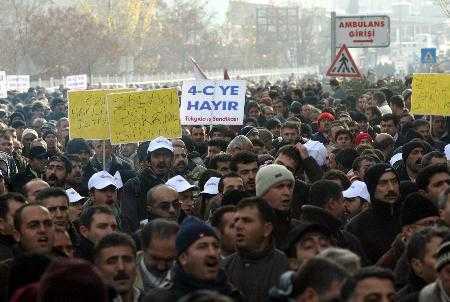 Some 10,000 workers, family members and supporters are currently demonstrating in Ankara in near-freezing temperatures in protest against a snap government decision to close their workplaces at the end of January 2010. In Hassi Messaoud, Algeria, 850 kilometers southeast of Algiers, Eurest Support Services, a subsidiary of Compass Group, subcontracts catering and hospitality services to a score of multinationals like Schlumberger, Halliburton, Repsol, BP, Ciepsa, Burlington. Hundreds of ESS employees live in tents; under desert temperatures, and suffer difficult hygiene and living conditions. 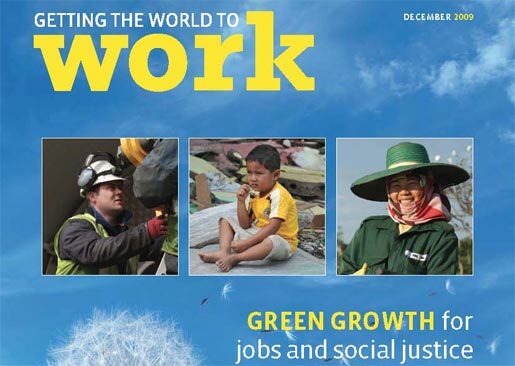 On the occasion of the UN Climate Conference in Copenhagen, the Global Unions have issued a joint publication, “Green Growth for jobs and social justice“. More than 3,500 SACCAWU members at the Sun International South Africa have been on strike since December 4, 2009 for wage increases and improved working conditions. Coordinated by the International Domestic Workers Network, domestic workers around the world held actions to defend their rights to justice, dignity and fair treatment at work. Bakery workers of the US BCTGM Local 57 face a vicious assault on their working conditions and benefits by management of the “New Bakery of Ohio” in Zanesville, Ohio.